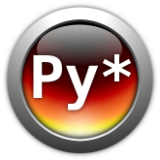 pip is a utility for install and uninstalling Python packages. Packages are bundles of code that give additional functionality to an existing Python installation. To install and manage packages in a consistent way in Python. First, install ez_setup to get easy_install (the old python package managers).